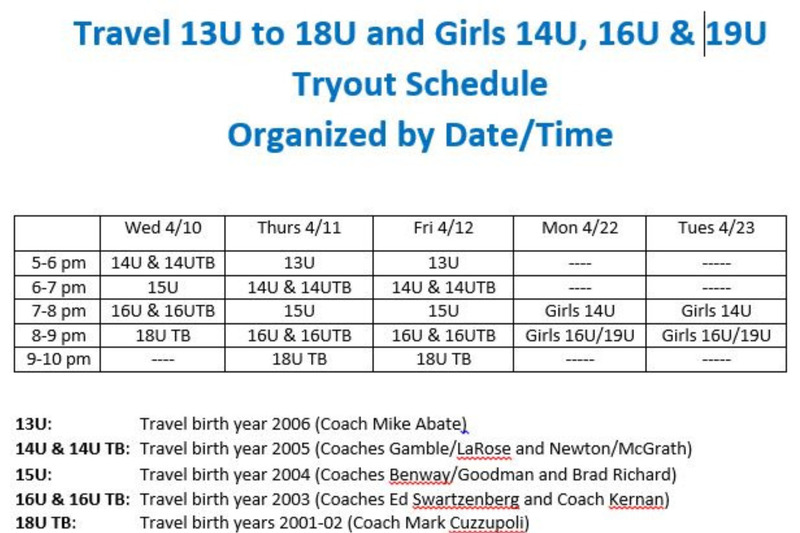 Online Registration for 13U to 18U and Girls 14U, 16U, & 19U Tryouts will open on 4/3 per NYSAHA rules. 3.) Players should plan to attend all sessions for their age group. Players with conflicts (injury, illness or school) should notify the Head Coach(es) for their age group. The birth year for each Tryout is in (). Players are also reminded of WYHA's Moveup Policy: Only the Travel or Girls Directors can grant Move-up Requests and ONLY after the player has attended at least one session for his/her age group. Head Coaches may not grant move-up requests. Move-ups are rarely granted and generally only within an age group (for example 15U to 16U). USA Hockey prohibits 12U players from playing on 14U TB teams and it is strongly discouraged for 13U & 14U teams. The Travel or Girls Director negotiates between the Head Coaches as to whether a move-up, alternate or refusal makes more sense based on both teams situations. ALL PLAYERS MUST CHECK-IN at the Registration Table every night of Tryouts! Players who did not play at WYHA in 2018-19 are Required to hand in an ORIGINAL release at Registration (or if received by email, forward to Registrar at registrar@wyha.com) - non-WYHA players without a Release will NOT be allowed to Tryout! Please attend the 15U or 16U tryouts based on the players birth year.